Phosphorus is an essential ingredient of life on earth. It is a component of DNA and of bones, and it fulfils a key role in energy transfer in living cells. Yet it was regarded as an evil element after its discovery by Hennig Brand in 1669. Brand produced it from urine. The white phosphorus he discovered lit up in the dark. On top of that, phosphorus appeared to be element no.13. But the reserves of phosphorus are under stress, the mineral phosphate is being depleted. ‘Peak phosphorus’ is expected to happen around 2030, and there is no substitute. Although late 18th century, Malthus predicted that global population would rise faster than global food production, this has not happened – in particular as a result of the discovery of chemical fertilizer. Early 20th century, mankind learned how to process atmospheric nitrogen to ammonia and subsequently to nitrate. But the parallel process to produce phosphate, that other important fertilizer, is not feasible. 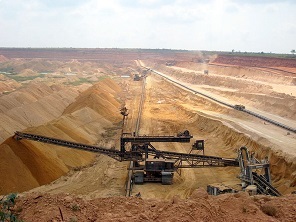 The only source of phosphate is the mineral resource, mainly found in China, Morocco and the US. The 1972 Limits to Growth report already warned for phosphate depletion. Many expectations in this report did not come true, in particular because we found substitutes for metals in scarce supply. For instance we might substitute nickel/cobalt or nickel/iron alloys for rare earth metals, the use of which has risen substantially through the advent of smartphones. But in the case of phosphate, there are no such substitutes available. Yes, we can produce phosphate from sea water. Which would require major amounts of energy. The recovery of phosphate from excrements is a much smarter idea. Researchers keep on repeating the need for this, but for lack of immediate shortages, nothing much happens. Recently, struvite (magnesium ammonium phosphate), a compound that can be extracted from sewage water, has been approved as a fertilizer; but this took long. Mankind will eventually have to close the phosphate loop in order to be able to feed the world. We need to solve such problems on a global scale, simply because the planet’s processes do not stop at national borders. In the eighties we, at Dutch research centre TNO, developed a process that would purify phosphate ore from cadmium contaminations. This research was commissioned by the Dutch government. But industry had other things in mind. When government lowered the acceptable dose of cadmium in fertilizer, Dutch industry simply substituted cleaner Florida ore for contaminated Moroccan ore. In short, the purification technology was shelved. Moroccan ore is now shipped to Egypt, where it contaminates the Nile valley and the delta. Industry does not respect borders. Which implies that we too will have to think globally, in order to solve industrial problems. This is a catchphrase that is nicely apt in solving the next problem: phosphate contamination. Sewers and the use of phosphate containing detergents produce algal blooms in surface waters all around the world. These often toxic algae grow wherever water contains too much phosphate and nitrate. At the moment, China is the country most affected. Industrialized countries have largely reduced phosphate effluents. But that too may have adverse environmental effects. In seawater and in marine living organisms, the so-called Redfield ratio holds: the ratio of carbon, nitrogen and phosphorus is 106:16:1. As industrialized countries now discharge less phosphate, this puts a stress on the Redfield ratio in shallow seas. 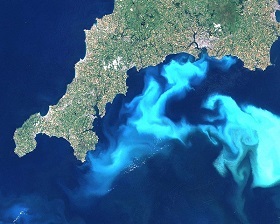 Nitrate is still discharged in major quantities: for instance, nitrate fertilizer leaches much more readily from the soil, and nitrates are also produced at sea from nitrogen oxides, produced in ample quantity from car engines. The changed nitrate/phosphate ratio now affects marine life, and some marine biologists tend to blame this for the decline in the fish population. Obviously, the best solution is a parallel reduction of the nitrate load, but that too can only be done internationally. Many animals have difficulty taking in phosphorus from organic compounds, i.e. chemically bound to carbon. Ruminant animals can, but animals like pigs, chickens (and humans) require inorganic phosphate. These animals excrete most of the phosphorus taken in. In countries that host many pigs, chickens (and humans), like my home country the Netherlands, phosphorus efficiency is low and much phosphorus ends up in manure. There is an adequate solution to this problem: add the enzyme phytase to the feed; this enzyme processes organic phosphorus to digestible free phosphate. So we should not overlook such better phosphorus uptake in digestion as a means to enhance phosphorus efficiency. Phosphorus recycling does not pose many technological problems, the main obstacle is social organisation. We will have to tackle this problem in order to keep feeding the world; even more so if we should also wish to use part of the agricultural yield for materials production in a biobased economy.